HUBFEST is Hattiesburg’s premier arts and music festival. 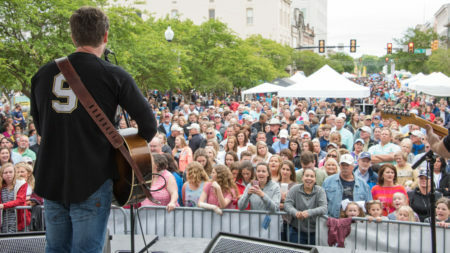 The annual event is held in beautiful Historic Downtown Hattiesburg and features four stages of live music, over 250 arts, crafts and food vendors, and a large children’s area. The one-day festival is free to the public, with the exception of the children’s area, which requires a $10 fee for unlimited all-day play. Due to large crowds, pets are not permitted within festival boundaries.